Furthering the range of retro games on the Xbox One backwards compatibility list, Konami’s Castlevania: Harmony of Despair joins this March. The title that originally released on the Xbox 360 is now playable on Xbox One, if you don’t own the disc you can pick up the game for $15 from the Microsoft store, as well as character packs for a further few dollars. Castlevania: Harmony of Despair is a multiplayer game, featuring characters sprites and locations from many Castlevania titles. Following the story of the cursed book Grimoire, where the story of the sinister citadel Castlevania is written. Players can join up to six players online in co-op, grouping up to gain powerful combo attacks together in this platformer game. These backward compatible games can be purchased through the Xbox store or if you already own a copy simply insert the disc. The games will receive visual enhancements when played on newer systems with 4-times the pixel count on the base Xbox One and Xbox One S, while Xbox One X owners will be able to play the games with 16-times the original pixel count according to Microsoft. 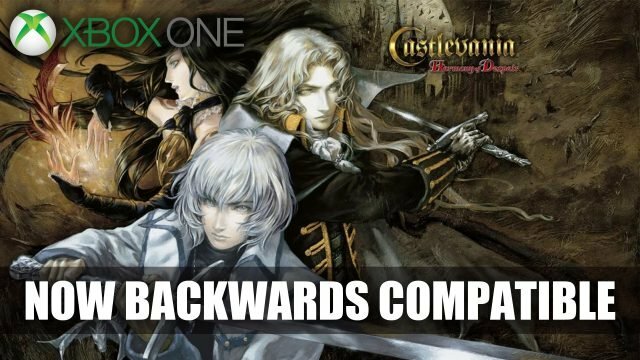 To read more about this news, find it here in Xbox One Adds Backwards Compatibility For Castlevania: Harmony Of Despair. The latest trailer combines a number of areas that has been covered in previous trailers but this time goes into a little more detail in terms of combat mechanics. It firstly outlines the story behind Sekiro, as he is taken in by the The Owl, later gaining a new master, a young boy known as “The Divine Heir”. Appointed to him to protect as he is part of a rare bloodline, meaning he is hunted by the Ashina clan. The video goes on share more about the Prosthetic Arm that Sekiro uses, and can be used with a range of tools or weapons which include grappling hook, axe, spear and Flame Vent. Each providing versatile ways to fight an enemy. You can also use Fire Crackers to aid you in confusing or stunning your opponent. We also get a see the Loaded Umbrella in action, which is whipped out at a moment’s notice. Sekiro: Shadows Die Twice released on March 22nd on Playstation 4, Xbox One and PC. Don’t forget to check out what we thought of the game in our Sekiro Review: Shinobis Die Many Times. 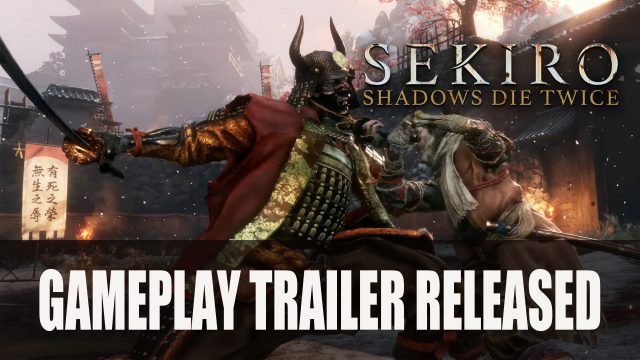 To read more about this news, find it here in Sekiro Shadows Die Twice Gameplay Trailer Released. In a post on Twitter Bethesda have shared a “save the date” for June 9th as they will be making their return to E3 2019, holding a press conference at 5:30pm PST. What they will plan to show E3 goers is still much a mystery, with the exception of DOOM Eternal which is slated to release sometime this year. But if you look closer at the image shared in their tweet, #BE3 it is displayed in twinkling stars which could be pointing at Starfield. Further clues include a dragon flying in the background which could be related to Elder Scrolls VI. To have a better guess of what they could be showing, we’d have to take at look at last year’s reveals. It was at last year’s E3 when Bethesda released more details about Fallout 76 as a multiplayer survival as well as the release date. The mobile game Elder Scrolls Blades was also announced. But one of the bigger reveals was Elder Scrolls VI being confirmed to be in the works as they shared a teaser trailer, but not much else was revealed about the title. A new IP Starfield was also featured, a single player RPG set in space but its release seemed to be quite far in the future, as Bethesda shared they were looking at “next generation of gaming technology” hinting possibly at the next Playstation or Xbox console. 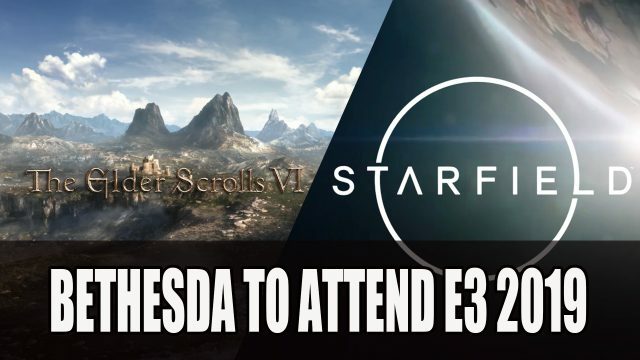 To read more about this news, find it here in Bethesda Confirms Attendance For E3 2019. Google are launching their new platform Stadia, which provides gamers with an online gaming streaming platform, that will cover a wide variety of screens including desktop, laptop, TV, tablet and smartphone. The platform was unveiled at GDC 2019 by Phil Harrison the Vice President and General Manager of Google. But not only will the streaming service exist within the platform itself, but can be accessed through sites such as Youtube, allowing the viewer to play the game through the browser. While current consoles are limited to hardware performance, Stadia is hosted by the Google data center which means pretty much any device can access the game, even switching from a laptop to phone mid-game is possible. Currently Google have yet to share whether this will be a subscription based service, the list of games they’ll carry and what pricing features that it will offer. However, Doom Eternal has already been revealed to be one of the games to appear on Stadia and it will run in 4k resolution at 60 fps. 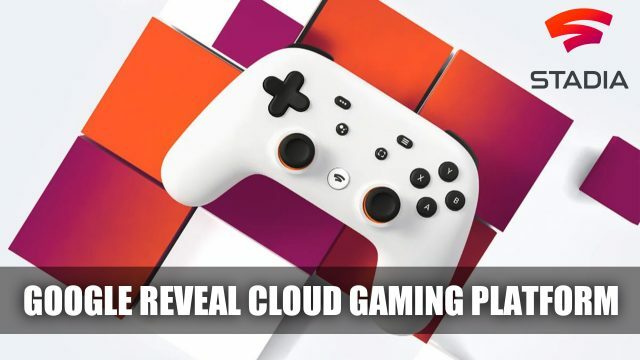 To read more about this news, find it here in Google Reveals Their Cloud Gaming Platform Stadia. In order to gain feedback from Sega fans, the developer is now hosting a survey hoping to gain insight in what players want for their most popular franchises. Titles listed in the survey include Yakuza, Sonic the Hedgehog, Valkyria Chronicles, Shenmue, Bayonetta and more. They not only ask about whether fans want more content for these games but if they are interested in a remake, remaster or even sequel. By completing the survey Sega fans in America have a chance to win a gift certificate for the Sega Online Store, Nintendo eShop, Playstation Store or Xbox/Microsoft Store. Not a bad way to help Sega decide what to work on next, and for a chance for fans to win something. 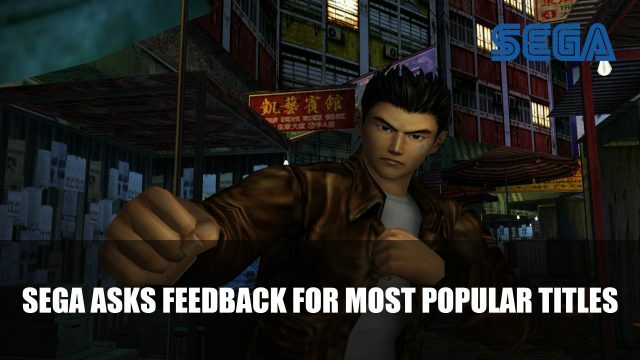 To read more about this news, find it here in Sega Is Hosting A Player Survey Including Valkyria Chronicles, Shenmue And More. Obsidian Entertainment and Private Division announce that upcoming sci-fi RPG The Outer Worlds will be partnering with Epic, meaning that come launch day it will be available on the Epic Games and the Windows Store for its PC launch. This means that The Outer Worlds will not be available on Steam for PC fans at launch. However, this might not mean that it won’t be available on Steam forever, as this will be a part of a one year exclusive agreement and the tweet mentions “other digital platforms 12 months later”. This is fast becoming a new choice for developers and publishers to strike up a first year launch deal with Epic. Only last week, X-COM creator Julian Gollop made a similar move for his upcoming mutant turned-based title Phoenix Point. This was met with its own controversy due its crowd funded history. While this situation seems a little different as Obsidian are still offering PC players the option to purchase through the Windows Store as well. Time will only tell if more developers will go down this route and if more exclusives will be on the horizon. 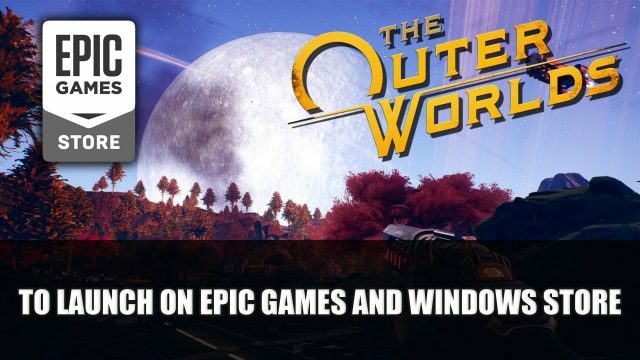 The Outer Worlds will be launching exclusively on the Epic Games Store as well as the Windows Store for PC, PS4 and Xbox One with no release date announced as of yet. To read more about this news, find it here in The Outer Worlds To Launch On Epic Games Store And Windows Store. 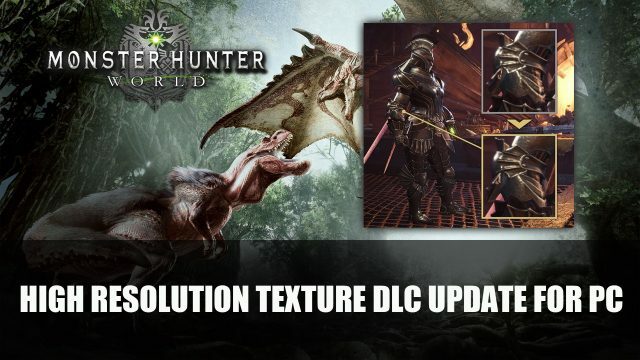 Announced via the Steam page, Capcom outline the features of the upcoming High Resolution Texture Pack DLC for Monster Hunter World that will be available for free via Steam. The update 5.2. will go live on April 4th at 00:00am UTC, which contains the graphics update and some new features. Major features include added support for High Resolution Texture Pack DLC, which will require a minumum of 40GB free space and 8 GB of graphic memory. Other features include a “Take All” option at the rewards screen after completing quests. A new mouse control will be added to allow less sensitivity when it comes to unintentional movement as well as a “Friends Can Join” option will be added to the Private Sessions Settings. To read more about this news, find it here in Monster Hunter World On PC To Get Free High Resolution Texture DLC. Sekiro: Shadows Die Twice had its release on the March 22nd, bringing FromSoftware’s newest IP to the public. While it’s not been that long since the official release, it hasn’t taken Lance McDonald long to uncover something. Known for his exploration into FromSoftware games, McDonald has shared in his latest video a photo mode that was cut from the final release of Sekiro. The video features a debug camera which is used to take screenshots from the game during development that can open up a number of angles and views. As McDonald explores a fight scene early on in the game, it just goes to show the freedom of movement this camera allows, grabbing different views of the same scene. The footage is quite amazing as you can see things happening from all angles, showing a lot of detail in these frozen moments. You may be wondering what else can be found in terms of cut content of Sekiro. From past findings, McDonald has discovered a cut boss from Bloodborne, cut scenes, the purpose of the Yharnam Stone, and a host of reveals. But according to his latest video he will not be sharing anymore cut content from Sekiro “until a lot more time has past”. 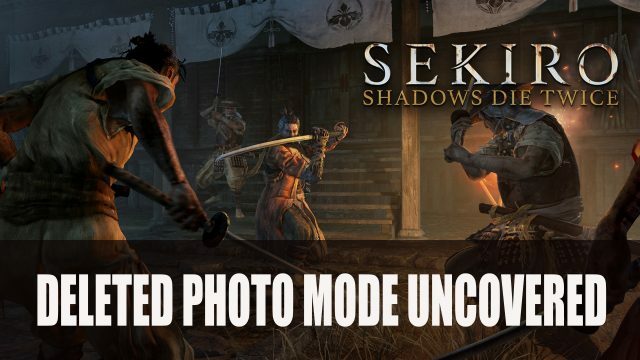 To read more about this news, find it here in Sekiro Shadows Die Twice Deleted Photo Mode Uncovered. If you were hoping the sequel will drop sometime soon, you’ll have to wait until next year but eager fans can already pre-order through a number of ways including Steam, the Epic Store, GOG and on Paradox’s store. 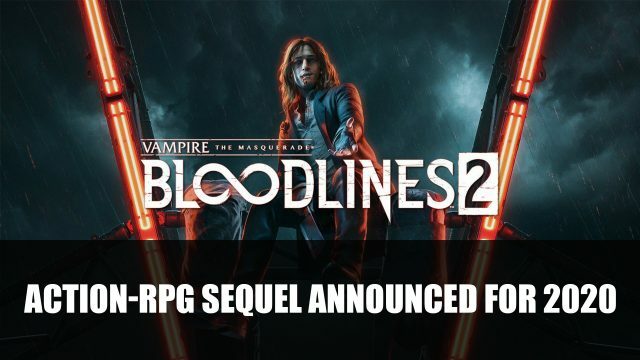 To read more about this news, find it here in Vampire: The Masquerade – Bloodlines 2 Announced For 2020; Pre-Order Editions.